Nobody can draw a cell phone like Makoto Shinkai. The animation director has been fixated on communication over time and distance since his breakout short Voices From a Distant Star, which follows a teenage intergalactic fighter pilot texting her would-be boyfriend from the cockpit during her off hours. Unlike many directors, Shinkai is not afraid to have his characters stare at their phones for long stretches, waiting for news, for reciprocation of feelings, for a connection. Though he paints them in hyperdetailed photo-realism, phones aren’t inert chunks of fiberglass to Shinkai, they are imbued with the hopes and desires and emotions of their owners. In Your Name, his latest film, one serves as both a record and a shared diary. They are a tenuous, hopelessly man-made tether whose connection could be severed at any moment. Shinkai has been lauded as the “next Miyazaki” since his debut feature film The Place Promised in Our Early Days premiered in 2004. This anointment has seemed a little premature, if not outright unearned, to me, and unfair to Shinkai’s distinct point of view as a director. Shinkai’s trademark is his scenic work — he takes the lushly mundane background work of Ghibli films like Whisper of the Heart and My Neighbor Totoro and cranks up the resolution, offering frame after frame of hyperbolically detailed scenes of city and country life. Everything from a rain-speckled maple leaf to the scuffed edge of a carton of coffee is lovingly, perhaps even obsessively, rendered to look more real than real, and then lit in eternal magic-hour blues and golds bleeding across his bending skyscapes. Watch enough of Shinkai’s films and you start to recognize the meta-gravity in these details; you can feel Shinkai himself grasping to preserve the memory of every little thing in the periphery of his characters’ lives. As dazzling as this can be, it’s not always been clear how Shinkai’s technique connects with his earnest teen romances. Shinkai’s blissful sunsets, combined with his cosmically emo screenwriting, has led me in the past to sometimes refer to his work as “Instagram anime,” heavy on feels and pretty pictures, light on complete thoughts. Still, his insistence on some common themes — adolescent longing, the wonders and loneliness of space, the idea that something is lost between your teen years and young adulthood — pointed toward a cohesive vision that had yet to fully emerge. With Your Name, it’s suddenly, overwhelmingly here. Shinkai’s latest, which broke box-office records in Japan last year, brims over with ideas, its synapses firing faster and faster as its initial body-swapping scenario is bound up with notions of time, memory, and loss. It’s a film not just about the connection between a boy and a girl, but the way each of them connect to and relate to their world through their own eyes and each others. It’s only barely a romance, bypassing much of that familiar territory to explore something much more intimate and strange. 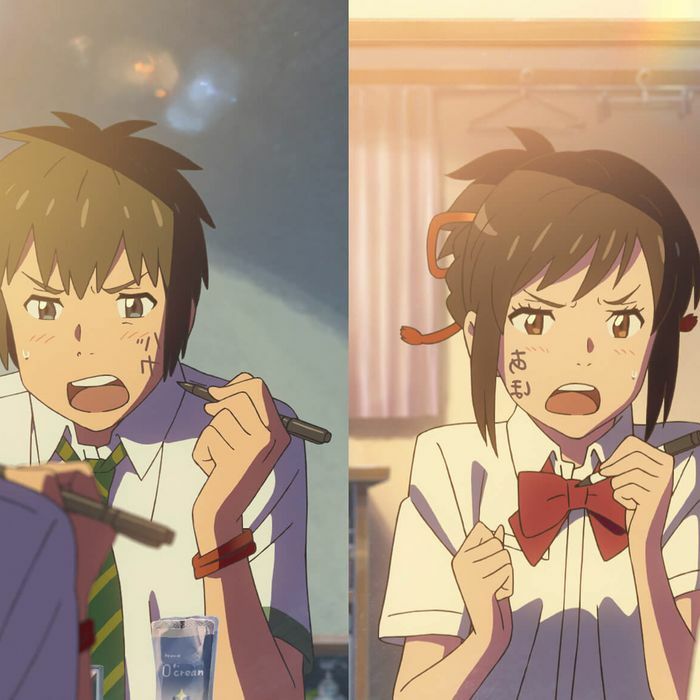 Mitsuha is a 17-year-old girl living in the rural village of Itomori; Taki is a 17-year-old boy living in Tokyo. After the appearance of a passing comet in the sky, they mysteriously begin swapping bodies, a day at a time and unexpectedly. They fumble through each other’s lives, and with each other’s bodies, with a mixture of horror and fascination. They begin leaving notes for each other, Mitsuha even sets Taki up on a date while in his body. They’re continually unable to contact each other, so when the swaps stop occurring, Taki travels to the mountains in search of Mitsuha’s home. That’s when the movie delivers its first wallop, which I won’t spoil here. In the past Shinkai’s leads have tended to feel flatly animated and written. Not here. 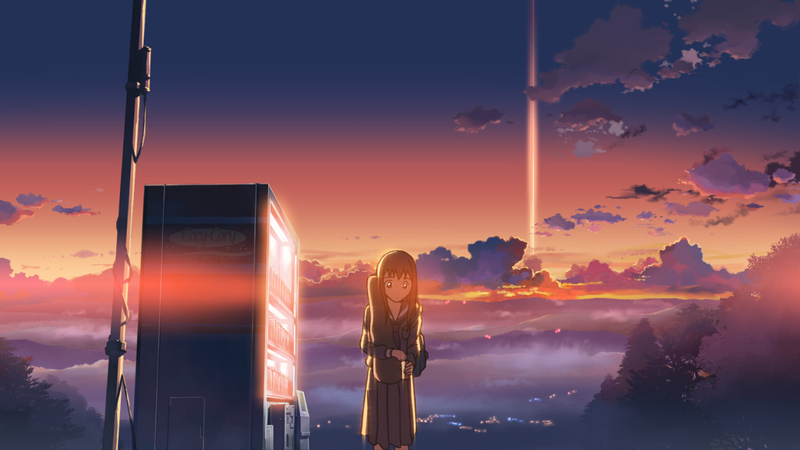 Taki and Mitsuha feel as vibrant and alive as their hometowns and the comet-strewn sky that hangs above them in all it psychedelic glory. Little details like the inherited rituals of Mitsuha’s life as a Shinto shrine maiden, and the cosmopolitan pleasures of a big stack of pancakes at the cafe Taki and his friends frequent, add up to a pair of perspectives that feel deeply lived-in. Taki’s journey, to find a town purely through his own memories of it in Mitsuha’s skin, is the beginning of Shinkai’s sprawling inquiry into how places and objects attain meaning. In a way, Your Name is a kind of explainer for all those beautiful sunsets and meticulously recreated train stations and convenience stores. In a scene late in the movie, we see a grown-up Taki, pursuing a career as an urban planner, tell a potential employer that he wants to create “landscapes that leave heartwarming memories.” The translation is a little pat, but it has to do with the Japanese sense of natsukashii, a hard-to-translate word in the neighborhood of nostalgia. It has to do more with a kind of inherent longing; the fond recollection of past places and days is tied to the realization that you can never recapture them. And what happens when those memories leave you? 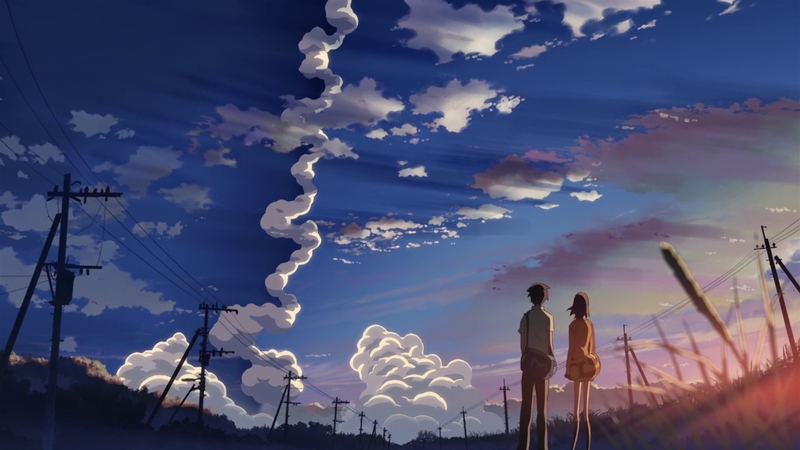 Taki and Mitsuha frequently find themselves waking up crying from dreams they can’t remember; throughout the film’s twisting timeline they alternately forget each other, or cross paths before meeting. Throughout it all, there’s a sense that the body and soul remember things the mind can’t; this leads the film to its perhaps improbably happy ending. Before then, though, things get tangly, and those trying to diagram Your Name’s multiplying timelines might get frustrated. But Shinkai paints an assured emotional through line between all the metaphysical business, and as long as you follow it, you won’t be lost for long. What this film has to say about how we experience time and loss overpowers the demands of logic. Perhaps a less uplifting ending may have seemed more honest. But Shinkai’s a romantic at heart, and it’s infectious. By the end, you just want these two crazy kids to get together, no matter whose bodies they’re in.